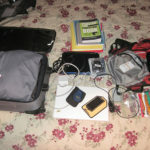 One of the best reasons to attend a professional conference is to explore a new city. Over the past several years the ASCE Annual Conference has been held in Los Angeles, Chicago, Kansas City, Las Vegas, and Memphis. Although it’s tempting to spend all of your time attending sessions in the conference center, it’s always rewarding to take some time to explore outside. The view from 30,000 feet is a poor substitute for walking though a downtown area. However, I have to admit that Memphis looks pretty remarkable from the sky. Approaching from the North, our plane followed the Mississippi River. Just 20 minutes from touchdown, the pilot announced our approach into Memphis. I gazed out the window unsure that I had heard correctly; we still seemed to be flying over endless farmland. 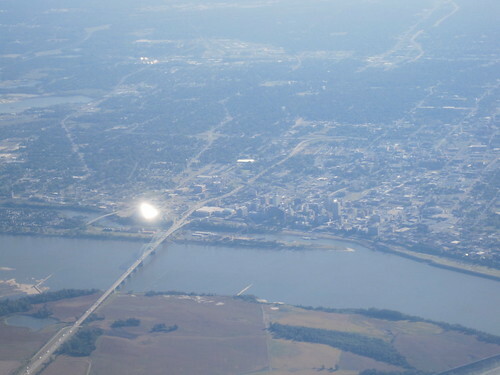 Finally, a bridge over the Mississippi came into focus as the plane rolled slightly. 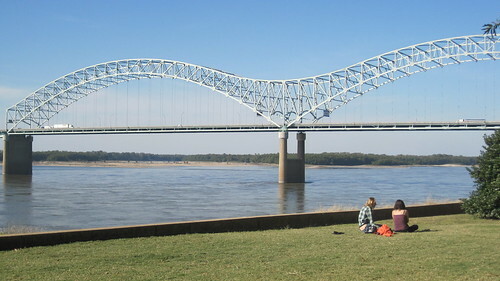 Memphis was situated across the river. The city’s pyramid-shaped arena reflected the light like a beacon. I imagined that this was how the Pharaohs imagined Giza would appear from the heavens. As the plane descended for landing I was struck by the greenness of the suburbs. 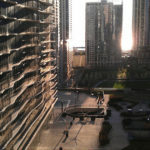 At this point in late October, Chicago had already been rendered grey. The lots also seemed quite spacious, again it was clear I wasn’t in Chicagoland anymore. We landed and I was shuttled into downtown. Unfortunately, my view of Memphis wouldn’t be expanded until later that evening. The younger members that I met the first day assured me that Beale Street was the place to be in Memphis. A trolley ran along Main Street from our hotel up to Beale Street. Although the conference had provided free Trolley passes, I decided to walk the 10 or so blocks in order to take in a little more of the city. I wandered past the city and state government buildings and took note of the Occupy Memphis protesters camped out in pup tents. Onward, I passed by the Peabody Hotel, famous for its resident ducks that receive red carpet to and from the lobby fountain daily. Finally, I turned left on Beale and entered a scene that I would have expected in New Orleans. Beale Street is home to Memphis’ nightly party. The street is closed to traffic so drunk pedestrians can wander happily from one club to the next. Each bar fills a place within the street’s history of bourbon and blues. My first stop was BB King’s, where a small cover is enough to support one of the best cover bands in town. Nightly music is offered in most clubs, and the ASCE members from around the country were impressed by the quality of the musicians everywhere. Later, I continued down the strip to meet up with some student members who had found the best drink deals at Silky O’Sullivans. Unable to match their… um… enthusiasm, I started to feel old. On another night, I thought I might feel younger dining with some of ASCE’s more veteran members at the Blues City Café. 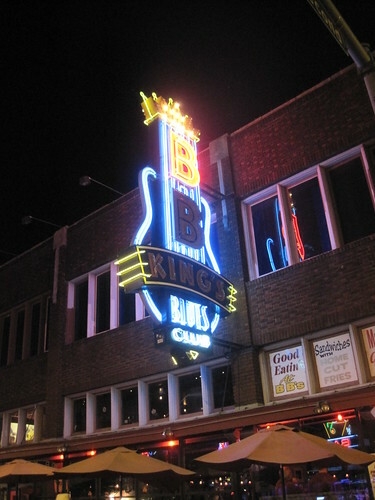 However, they surprised me by continuing on to BB King’s. I guess the allure of the Blues is ageless. By Saturday afternoon, I was a bit deprived of fresh air. After the closing keynote and before the start of the Younger Member Leadership event, I decided to enjoy the beautiful day. Ever since my flyover, I was enthralled with the notion of checking out the Memphis Pyramid. I found the peak in the skyline and just started walking in the general direction. As I approached the neighborhood around the pyramid, I got the feeling that the building had not been in use for some time. I later learned on Wikipedia that the structure was built in 1991 to accommodate a 20,000+ seat arena for the University of Memphis men’s basketball team and the Memphis Grizzlies. The teams relocated to a new facility in 2004. The local area has suffered from the loss of game-day revenue. Abandoned buildings and unkempt landscaping gives the pyramid the aura of an abandoned ruin – surely this resemblance to the structure’s real-life inspirations is a few steps closer than the designers had intended. The engineer in me wanted to see more of the structure. I under the statue of Ramses (which of the famous namesake is unknown) and pondered jumping the flimsy barriers to stroll the promenade that wraps the building. Considering the consequences of unlawful trespassing and the absurdity of my excuse, I thought better of it… but I decided to continue around to another entrance. Around the back, I was able to walk right up to some glass doors. Would they be left open? I tried the handle to no avail. At another location, I noticed lights on inside the building. Good thing I had played it safe and walked away. Feeling that I had done due diligence in my inspection, I walked back around front. 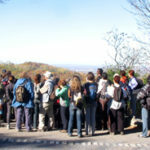 As I turned the corner a Girl Scout troop was exiting the building, no doubt having received the tour I had hoped for. I was more than a little jealous of their opportunity. Still enjoying the beautiful sunny day, I couldn’t bring myself to re-enter the conference center. Instead, I continued on to another fantastic structure in the distance. I could see a red rail car suspended below a trussed bridge traveling from the city-side pier out to an island in the River. This infrastructure deserved a closer look. The Mud Island Monorail carries passengers between the mainland and recreational Mud Island. The car is pulled from side to side by a single cable that is wound on either end. For a fee, passengers can ride the tram, but I elected to walk the overhead bridge. The view above the river was fantastic. On a sunny day the Memphis skyline really shines. Equally esthetically pleasing was the effect of the shadows caused by the truss braces on the walkway. 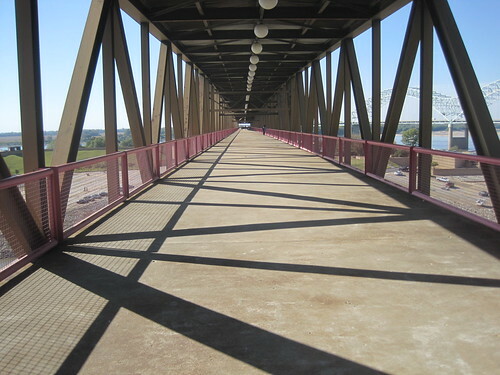 Several families were enjoying the walk – kids trying to traverse the bridge by walking in the shadow. I was taken by the views of the other bridges crossing the Mississippi. Mud Island offers many attractions including a museum about the Mississippi River, riverboat rides, and an amphitheater. 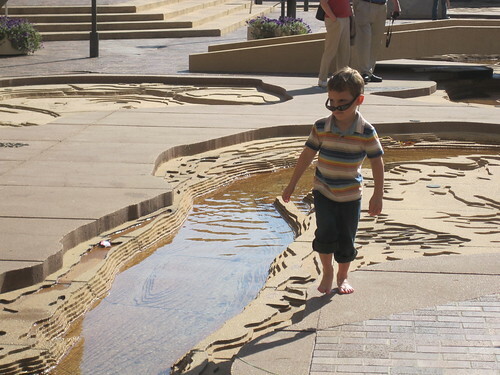 I enjoyed walking the scale model stream that represented the lower Mississippi. A small channel has been painstakingly constructed to match the flood levels of the river, cities along the river banks, and spillways constructed by the US Army Corps of Engineers to control downstream flooding. While parents read about the watershed, kids dropped leaves in the water and watched them flow downstream. 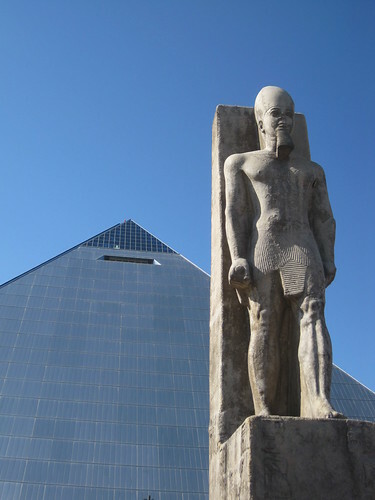 By the end of my stay I was satisfied with my tour of Memphis. I may have been able to explore more efficiently with some prior research, but it’s more fun to stumble upon a city’s surprises.